I have nothing new to add today, so I’m not going to say much. My thoughts are well documented, such as in my article two weeks ago about why I started buy silver mining shares again. Instead, I’ll let the charts do the talking. Sure looks like a bull market to me. 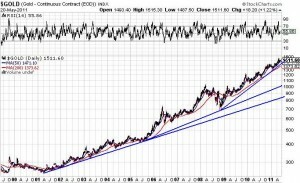 A drop below $800 would signal the end of this long term bull market, but what are the chances that gold will drop from $1,500 to $800? Why the difference? 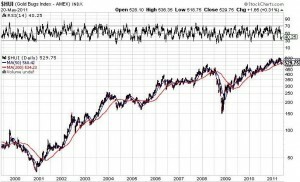 Why is gold on an uninterrupted run, while the gold stocks are much more volatile? 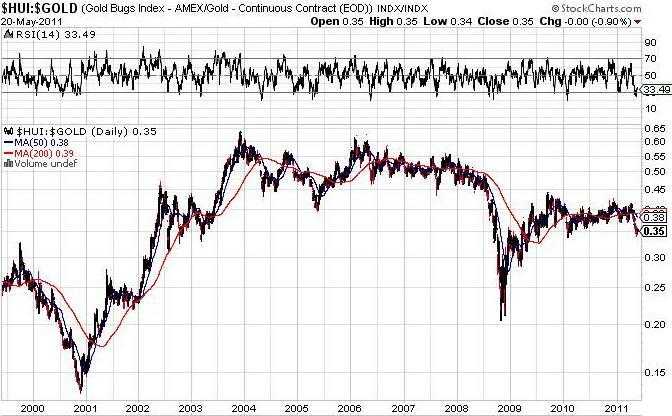 I believe I have already addressed this issue in my discussion on Gold Bullion Up – Gold Stocks Flat – Why The Divergence? In summary, gold stocks, and gold stock investors, are different than bullion investors. However, as I mentioned last week, eventually everything reverts to the mean, so ultimately if bullion is increasing, so will the underlying stocks. Nothing has changed. 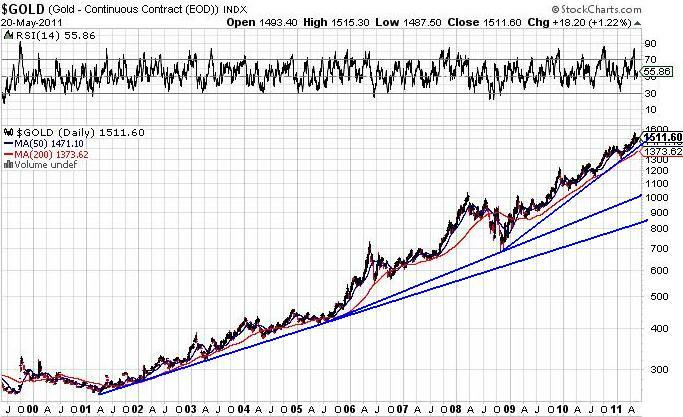 As the long term chart shows, gold continues it’s bull market, and I expect it to do so. May, June and July tend to be weak months, so I see no hurry to jump in with both feet. However, having a few stink bids on your top picks is a good idea, with a goal to gradually increasing your position over the coming months, so that we are close to fully invested by the Fall. Eventually gold stocks will catch up to gold, and exceed it due to leverage, so stay the course. That’s the plan today; by tomorrow, who knows what I’ll be thinking. Here in Ontario it’s the Victoria Day Weekend, where we all get Monday off (so the Toronto Stock Exchange will be closed) to celebrate Queen Victoria’s birthday. Of course the holiday generally falls around May 24, and since there are 24 bottles in a case of beer, it is traditionally referred to as the May 2-4 weekend, when everyone grabs a case and heads north to open the cottage for the summer season. The weather is great today (Saturday), but rain is expected for the rest of the weekend, so with only one good day of gardening available, I’m off to plant.